Wind Power Monthly: "Wind 'competitive with gas' in US"
The decline in the cost of wind power has been impressive over the past few decades, and it's continuing. As this graphic by the American Wind Energy Association demonstrates. the cost of wind power in the U.S. has fallen from around 55 cents per kilowatthour in 1980 to less than 10 cents per kilowatthour today. The result is that wind power is rapidly becoming cost competitive with natural gas-fired electricity. When it comes to natural gas fracking companies - and the politicians who do their bidding - subtlety and respect for peoples' rights has not exactly been their calling card. For instance, earlier this year, we read about "Vera Scroggins, an outspoken opponent of fracking, [who] is legally barred from the new county hospital.," as well as "the Chinese restaurant where she takes her grandchildren, the supermarkets and drug stores where she shops, the animal shelter where she adopted her Yorkshire terrier, bowling alley, recycling center, golf club, and lakeshore." Crazy, right? Must be an aberration? Video: The Daily Show on the "Benefits of Fracking"
Here's a bit of humor to end your workweek. Have a great, hopefully fracking free, weekend! 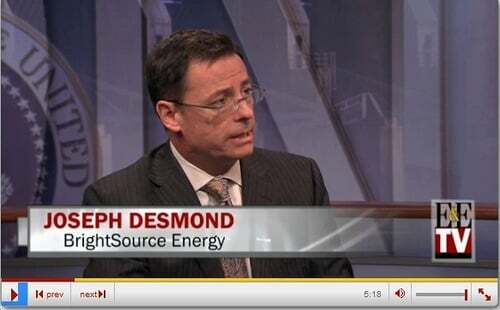 So, Utility Execs: "Do you want to be the disruptor or do you want to get disrupted?" The headline of this article comes from NRG Energy chief executive David Crane, quoted in the Washington Post story, "Grid parity: Why electric utilities should struggle to sleep at night." Recently, we wrote about a new study which found that a revenue-neutral carbon tax would actually boost the economy while slashing fossil fuel consumption and carbon emissions. Now, another article - British Columbia Enacted the Most Significant Carbon Tax in the Western Hemisphere. What Happened Next Is It Worked. - provides yet more evidence proving this point. Will TransCanada's Cloddishness Kill Keystone? Video: "Super energy-efficient German village makes money from surplus power"
Very cool: "Bloomberg Television's David Tweed visits Feldheim, an energy self-sufficient village in Bavaria that produces four times the electrity it needs - and makes a profit from selling the surplus." Hopefully, this idea will be coming soon to a village - or city - near you! Courtesy of NRDC: "Country music legend Willie Nelson is joining the fight in Congress to protect Appalachian communities from the impacts of the devastating mining practice of mountaintop removal. In a new music video that depicts mountaintop removal operations in Appalachia and their ruinous consequences, the American icon sings "America the Beautiful" to highlight opposition to giving coal companies free rein to blast the tops off mountains and dump dangerous pollution into surrounding streams and creeks." Given renewable energy's plummeting cost, its job-creation abilities, its water-saving potential, and its massive advantage over fossil fuels in terms of human health impacts, it's not like we really need any more strong reasons to support it. But heck, why not: here's yet another strong reason to be in favor for clean energy. Here are a few key points from this excellent webinar, presented earlier today, by SEIA on content marketing for solar companies. 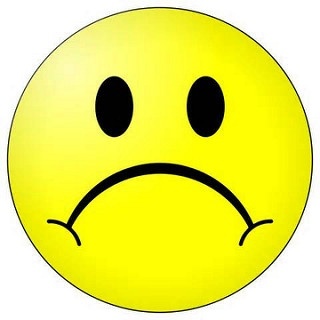 "Smiley Faces" for Energy Conservation, "Frowny Faces" for Water Conservation? A year ago, we wrote about Opower's finding that peer pressure was highly effective in persuading people to use energy more efficiently. File this one under the "we're not surprised" category. Elon Musk: If You Believe NJ Banning Tesla Sales Was About "consumer protection," Gov. Christie "has a bridge closure he wants to sell you!" After reading "To the People of New Jersey," I think it's fair to say that Elon Musk deserves to win a prize for best blog post - not to mention best one liner! - of the week. Check it out. Here's video of Dr. James Hansen, climate science expert and former head of the NASA Goddard Institute for Space Studies, testifying yesterday at a U.S. Senate hearing, and explaining why he opposes the Keystone XL pipeline. Katie Fehrenbacher: Silicon Valley Cleantech Becoming "Leaner," "Savvier," "More Sober"
Katie Fehrenbacher "launched GigaOM’s greentech channel in 2007 and closely tracks energy entrepreneurs and investors," so she's definitely got her finger on the pulse of the industry, particularly in Silicon Valley. Which is why her take-down of the meme that "Silicon Valley doesn’t seem to be creating anything meaningful anymore" is worth highlighting. Fehrenbacher makes a few key points. 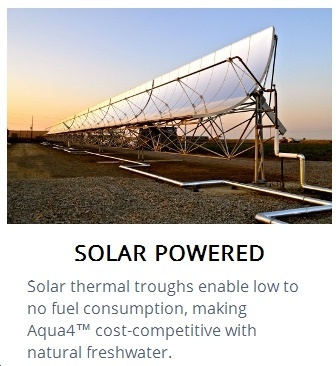 Using sunlight to produce clean water? Sounds like a great idea to us. Recent polling has indicated strong support by the American public for approving construction of the Keystone XL Canadian tar sands export pipeline. Yet this support is based on a series of falsehoods, spread by the very people who stand to benefit from the pipeline's approval (go figure!). Here are five of those falsehoods, and our explanation as to why they're false. There have been numerous articles written about the possible future for electric utilities in a world of rapidly growing distributed power, including David Roberts' three-part series in Grist. Here are a few key paragraphs from that article (bolding by me for emphasis). ProPublica Highlights "The Latest in Fracking Health Studies"
Can Tar Sands by Rail Substitute for Keystone XL? Myth vs. Fact. One of the key debates over the Keystone XL tar sands pipeline is whether rail can be an effective substitute/equivalent for pipelines. If, for instance, rail cannot substitute for Keystone XL, then pipeline supporters and opponents alike can plausibly argue that deep-sixing Keystone XL might significantly slow the expansion of Canadian tar sands production. If, on the other hand, rail can substitute for Keystone XL, then whether or not this project is approved might ultimately not have much impact on how rapidly the tar sands are developed. 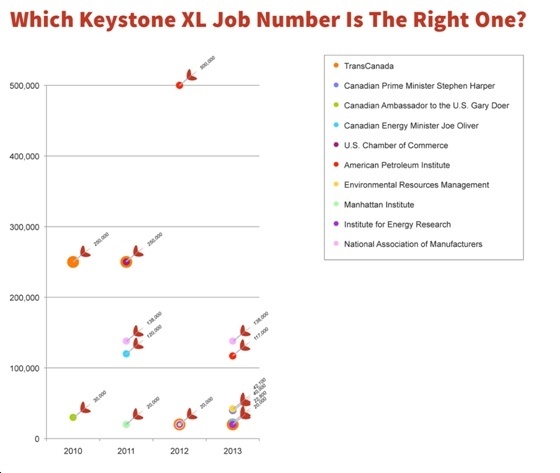 Is There "One Good Reason Obama Should Approve Keystone XL?" The short answer, according to Bloomberg Businessweek executive editor Brad Wieners, to the above question is "no." Actually, heck no. Here are a few key points from Wiener's article. For Wind Power, a "Big Empty Space Down South"
Over at Earth Techling, writer Pete Danko explains why a map of U.S. wind turbines shows a "big empty space down South." There are three main obstacles to bringing wind power to the southern U.S. First, there's the wind resource itself. Good news, albeit just the tip of the iceberg. Canada's National Energy Board Audit: TransCanada Didn't Comply with Hazard ID, Risk Assessment, etc. File this article in the "not surprising yet disturbing nonetheless" category.